The original text of “She Moved trough the Fair” dates back to an ancient Irish ballad from Donegal, while the melody could be from the Middle Ages (for the musical scale used that recalls the Arab one). The standard version comes from the pen of Padraic Colum (1881-1972) which rewrote it in 1909. There are many versions of the text (additional verses, rewriting of the verses), also in Gaelic, reflecting the great popularity of the song, the song was published in the Herbert Hughes collection “Irish Country Songs” (1909), and in the collection of Sam Henry “Songs of the People” (1979). In its essence, the story tells of a girl promised in marriage who appears in a dream to her lover. But the verses are cryptic, perhaps because they lack those that would have clarified its meaning; this is what happens to the oral tradition (who sings does not remember the verses or changes them at will) and the ballad lends itself to at least two possible interpretations. 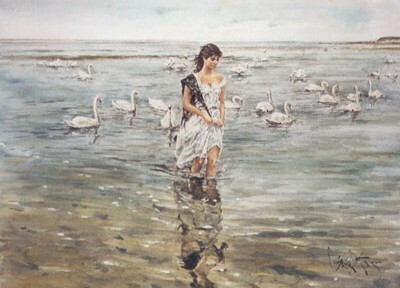 In the first few strophes, the woman, full of hope, reassures her lover that her family, although he is not rich, will approve his marriage proposal, and they will soon be married; they met on the market day, and he looks at her as she walks away and, in a twilight image, compares her to a swan that moves on the placid waters of a lake. The third stanza is often omitted, and it is not easy to interpret: the unexpressed pain could be the girl’s illness (which will cause her death) – probably the consumption- for this reason people were convinced that their marriage would not be celebrated. And we arrive at the last stanza, the rarefied and dreamy one in which the ghost of her appears at night: an evanescent figure that moves slowly to call him soon to death . The other interpretation of the text (shared by most) supposes she escaped with another one (or more likely her family has combined a more advantageous marriage, not being the suitor loved by her quite rich). But the love he feels for her is so great and even if he continues his life by marrying another, he will continue to miss her. The verses related to an unexpressed pain are therefore interpreted as the lack of confidence in the new wife because he will be still, and forever, in love with his first girlfriend. The final stanza becomes the epilogue of his life, when he is old and dying, he sees his first love appear beside to console him. As we can see both the reconstructions are adaptable to the verses, admirable and fascinating of the song, precisely because of their meager essentiality (an ante-litteram hermeticism): no self-pity, no sorrow shown, but the simplicity of a great love, that few memories passed together can be enough to fill a life. 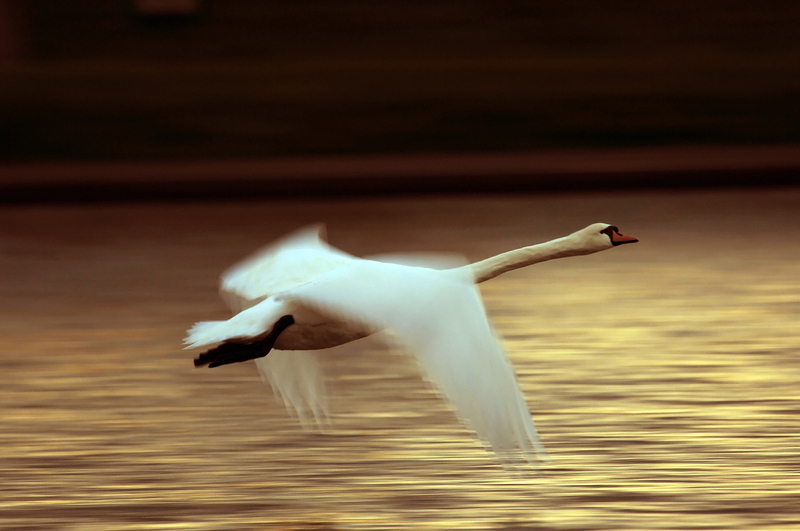 A single, strong, elegiac image of a candid swan in the twilight, anticipation of her fleeting passage on earth. 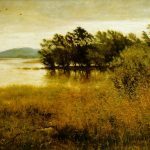 The song is a lament and there are many musicians who have interpreted it, recreating the rarefied atmosphere of the words, often with the delicate sound of the harp. that I saw of my dear. 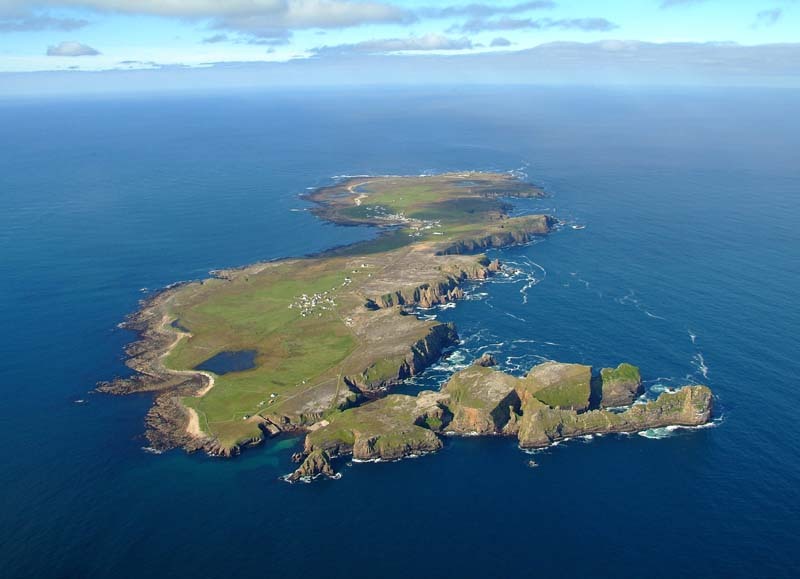 The island of Tory or better Oileán Thoraigh, is a grain of rice (measuring 5 km in length and 1 in width) 12 km off the northern coast of Donegal. Ancient fortress of the Fomorians that from here left to raid the coasts of Ireland, a race of primordial gods, like Balor of the Evil Eye, the Celtic god of darkness that had only one eye on the back of the head. It is called the island of artists since a small community of painters has been established in the 1950s. 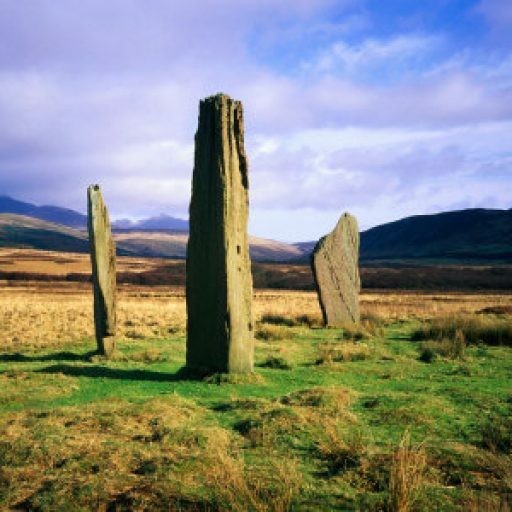 The hundreds of people who live there are Gaelic speakers and have been “governed” since the Middle Ages by a king of the island: it is up to the king to explain the legends and traditions of the island to the tourists! Bright and verdant in summer it is flagellate from strong storms in the winter months, theater of great tragedies of the sea. But above all it is a land of rabbits and birds among which we can distinguish the puffins of the sea with the characteristic triangular beak of a bright orange with yellow and blue stripes wearing the frak. “Phelim’s little boat” or “Báidín Fheidhlimidh” (Báidín fheilimi) is one of the “songs of the sea” and is taught to Irish children at schools being a rare example of a bilingual song. Almost certainly handed down for generations in oral form, the song may have been composed in the seventeenth century. Despite appearing as a nursery rhyme, the ballad tells the story of Feilimí Cam Ó Baoill, or Phelim O’Boyle, who, to escape his bitter enemy, abandons Donegal. He was one of the Ulster leaders of the O’Neil clan, one of the largest tribal dynasty in Northern Ireland (see). A warrior-fisherman leader who, to avoid conflict with the Mac Suibhne clan, or Sweeney, takes the sea on a small boat to the island of Gola; but, still not feeling safe, he changes the route to the island of Tory, more jagged and rich in hiding places, even if more treacherous for the presence of the rocks. And right on the rocks the small boat breaks and Phelim drowns. The Gaelic here is peculiar because it comes from Donegal and has different affinities with the Scottish Gaelic. Baidin is a word in Irish Gaelic that indicates a small boat and the concept of smallness returns obsessively in all verses; so the nursery rhyme has its moral: in highlighting the challenge and the audacity in spite of a contrary destiny, we do not have to forget the power of the sea and we must remind that freedom has a very high price. 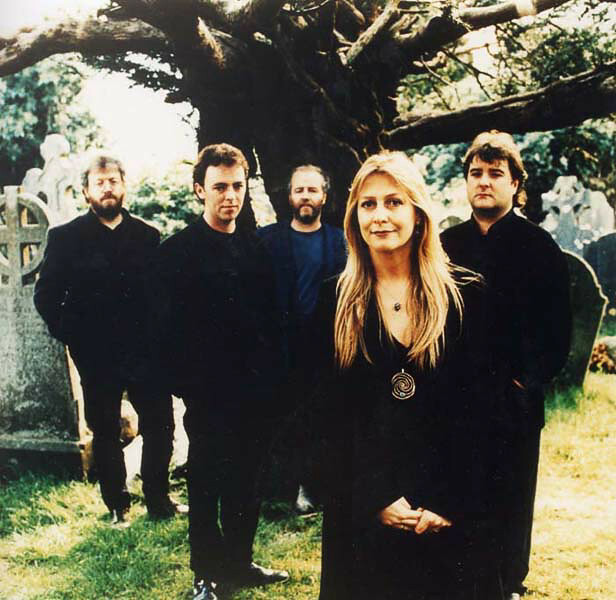 Na Casaidigh from Singing for memory 1998: a fine arrangement of the voices in the choir and a final instrumental left to the electric guitar in a mix between traditional and modern sounds very pleasant and measured. Phelim’s little boat and Phelim in it. Báidín Fheidhlimidh ‘s Feidhlimidh ann. The island has also given the title to an Irish folk dance “Waves of Tory” which reproduces the waves breaking on the rocks! Among the dances for beginners is performed with one step and presents only a difficult figure called Waves. 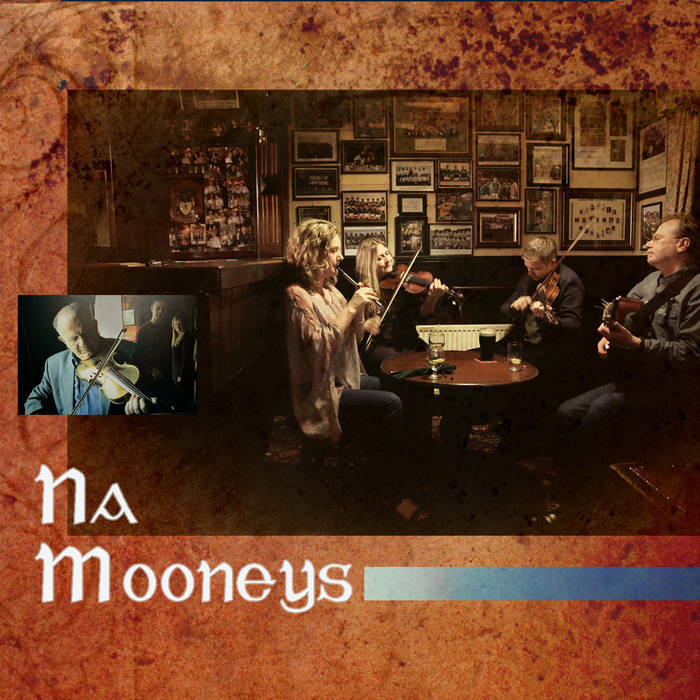 “Paddy’s Green Shamrock Shore ” is a traditional Irish song originally from Donegal, of which several textual versions have been written for a single melody. The recording made by Sean Davies at Cecil Sharp House dates back to 1969 and again in the sound archives of the ITMA we find the recording sung by Corney McDaid at McFeeley’s Bar, Clonmany, Co. Donegal in 1987 (see) and also Paul Brady recorded it many times. and you’ll wash your hands of all that has come before and you’ll take to the sea to a new count-a-ree, far from the green Shamrock shore. 1) It refers to the reception of immigrants who were inspected and held for bureaucratic formalities, but the sentence is not very clear. Ellis Island was used as an entry point for immigrants only in 1892. Prior to that, for approximately 35 years, New York State had 8 million immigrants transit through the Castle Garden Immigration Depot in Lower Manhattan. This text was written by Patrick Brian Warfield, singer and multi-instrumentalist of the Irish group The Wolfe Tones. In his version the point of landing is not New York but Baltimore. To Paddy’s green shamrock shore. 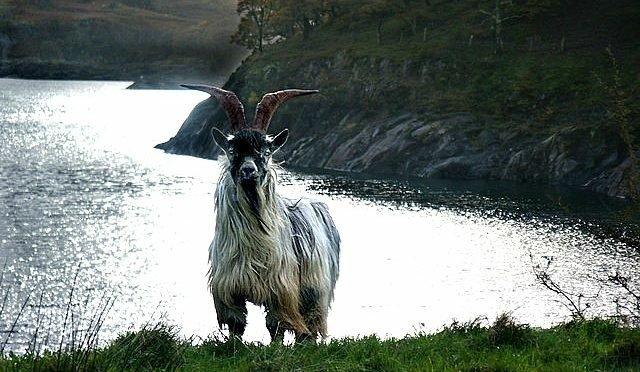 Il canto in gaelico An Gabhar Bàn (in inglese The White Goat) è la storia di un uomo in fuga sulle montagne per sottrarsi agli ufficiali giudiziari per questioni di contrabbando o di affitto non pagato, e per questo paragonato ad una capra bianca di montagna, la canzone fu tramandata da Kitty Johnny Sheáin di Gaoith Dobhair, la roccaforte della cultura irlandese nel Donegal mistico triangolo delle Bermude per i gruppi e artisti di musica celtica che hanno raggiunto la fama internazionale. Ed ecco la versione inglese, sempre in tema capre e poliziotti, scritta nell’Ottocento da Darby Ryan di Bansha, un piccolo villaggio a metà strada sulla strada tra Cahir e Tipperary: il testo è umoristico e allusivo la capra rappresenta ironicamente i cattolici irlandesi perseguitati dagli Inglesi, ed è il poliziotto ad essere messo in ridicolo per il suo comportamento prepotente, supponente, ma pronto a girarsi dall’altra parte in cambio di due soldi per una bevuta! e allora sarei un damerino! 6) in altre versioni diventa “mating season” la stagione dell’amore. 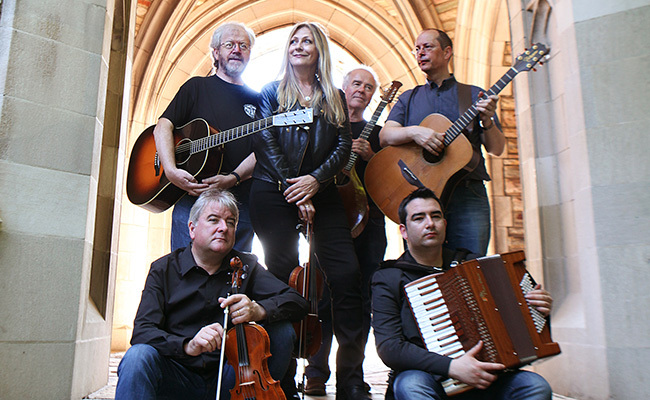 8) in altre versioni diventa “parting glass” ossia il bicchiere della staffa. 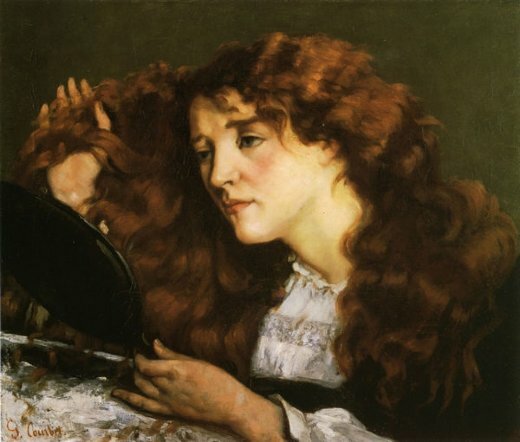 ‘Siúbhán’ o Siúbhán è un vecchio nome gaelico equivalente a ‘Siun’, derivato dal francese normanno “Jehanne, Jean”, che è equivalente a Jane, Janet (in italiano Giovanna), ma per assonanza anglicizzato in Susan . Ni (figlia di) Dhuibhir porta l'”h” – se fosse un maschio il cognome sarebbe scritto O’ (oppure Mac) Duibhir- che in inglese diventa Dwyer o Macguire (per assonanza fonetica Gwir). Il titolo è trasposto in inglese più spesso come Susan O’Dwyer oppure Susy Mac Guire. La canzone a volte è confusa con un altro titolo “Sean Ni Duibhir” che però si riferisce ad un uomo , ossia John O’Dwyer Of The Glen, il cui testo è stato scritto da Canon Patrick Augustine Sheehan alla fine dell’Ottocento o agli inizi del Novecento su una melodia tradizionale irlandese (vedi) – alla quale dedicherò un altro post. 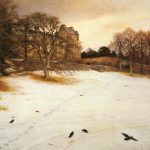 Il testo in gaelico irlandese, riprende il tema tipico degli affanni amorosi, come per Scarborough fair i due ex si avvalgono di un intermediario con il compito di riferire le reciproche ambasciate, la melodia è malinconica con una venatura di rimpianto. A Shiubhán Nic Uidhir, ‘s tú bun agus bárr mo scéil. ‘S nach mise ‘n truagh Mhuire bheith scaradh amárach léi. An miste leat mé bheith tinn? ‘s beidh mise ar mo chomhairle féin. Is ar Churrach Chill Dara gur scar mé le grádh mo chroidhe. Do you care if I’m ill? non ti importa se sono malato? 1) versione testuale in Pádraig Mac Seáin. “Ceolta Theilinn”. Belfast: Institute of Irish Studies – Queen’s University, 1973. (come collezionata a Teelin, Co. Donegal, Irlanda). Il primo verso dice: Beautiful Siubhán/Joan Maguire is all my concern. I am wretched at leaving her tomorrow. 2) Iorras tradotto come Irras. 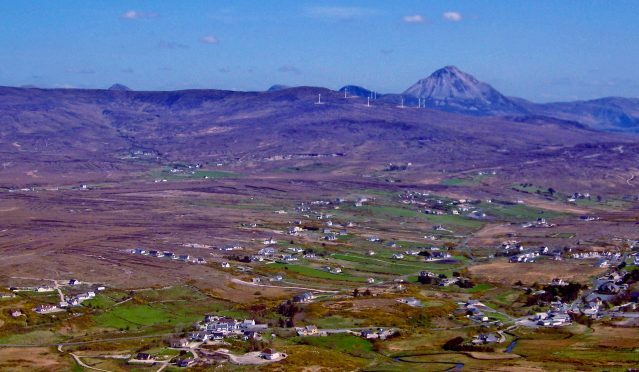 Erras è una regione nel nord-ovest della contea di May, oin Irlanda per lo più montuosa e ricca di torba. 3) la traduzione in inglese: I’m a single soldier who was expelled from the King’s Guard. I’ve no money for a drink. 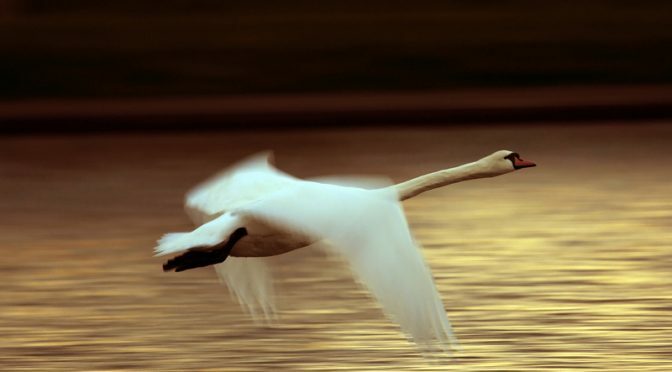 I used to play the drum and harp and I parted from my love in the Curragh in Kildare. 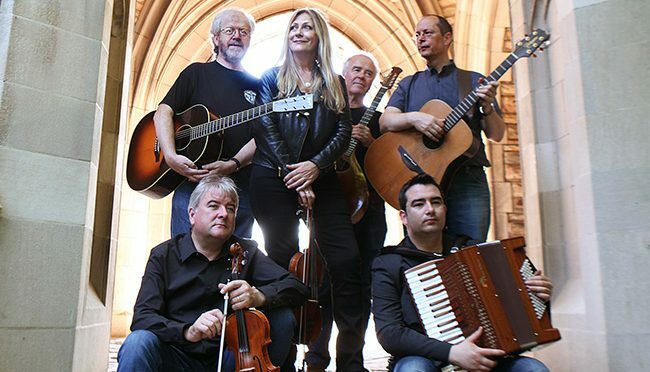 Francie Mooney (Pronsias Ó Maonaigh) è il padre Mairéad Ní Mhaonaigh, voce e violino del gruppo Altan. Talentuoso violinista nello stile del Donegal originario di Gweedore ha scritto anche diverse canzoni per lo più in gaelico, essendo il gaelico nella contea del Donegal (Irlanda Nord-Ovest) una lingua ancora parlata dalla gente comune. 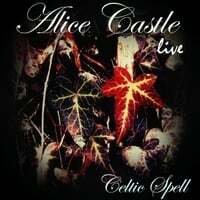 Così sulla melodia “Shamrock shore” ecco anche un testo in gaelico scritto in tempi moderni e intitolato “Gleanntáin Ghlas Ghaoth Dobhair” (in inglese”The Green Glens of Gweedore”). 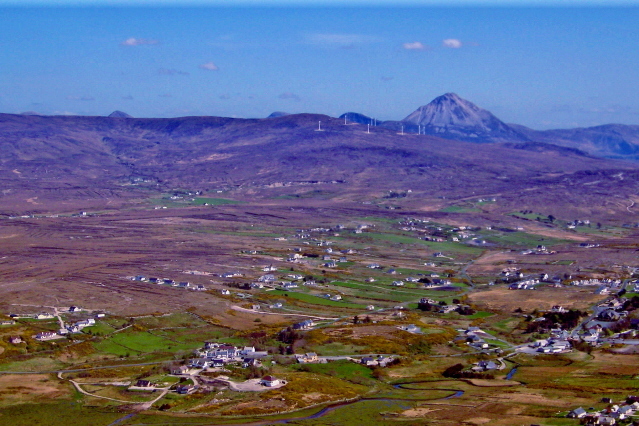 Il titolo richiama un altro brano tradizionale sempre originario di Gweedore “The Green fields of Gaothdobhair” da non confondere però, essendo due testi e due melodie distinte (vedi). Il tema è quello tipico delle canzoni sull’emigrazione con il protagonista in partenza per l’America che lascia il suo cuore nell’amata Irlanda con la speranza di ritornarci per trascorrere una tranquilla vecchiaia. le lacrime mi cadevano dagli occhi, verso occidente per l’America era il mio cammino lontano sul vasto oceano e dissi addio per un momento al Donegal e alle piccole verdi valli di Gweedore. per trascorrere la fine della mia vita con la mia famiglia e tutt’intorno le piccole verdi valli di Gweedore. 1) il Monte Errigal dalla forma conica appartiene al gruppo delle Seven Sisters. E’ rinomato per il colore rosato che assume al tramonto a causa della presenza di quarzite nella roccia. Un Ovest ancora selvaggio (torbiere, scogliere e grandi spazi disabitati) e poco turistico qui si respira la libertà forse per via del forte vento che soffia sempre. 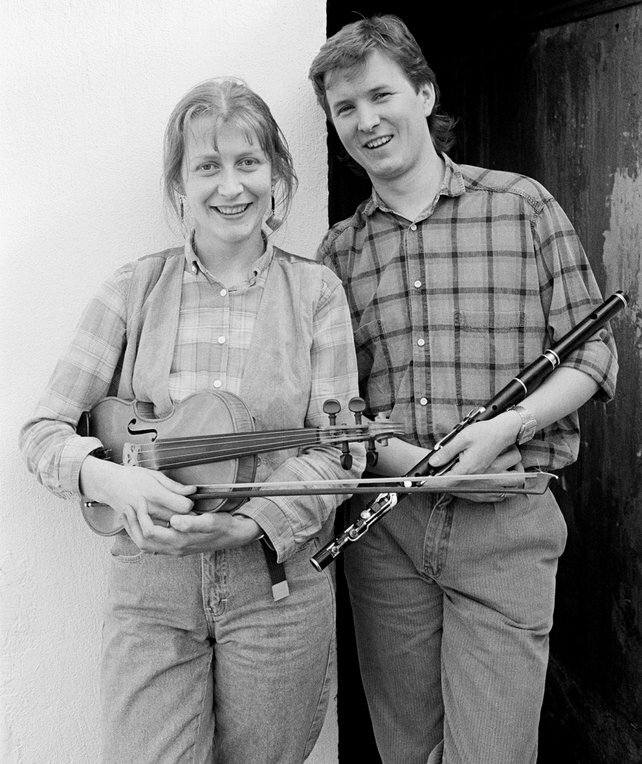 La registrazione effettuata da Sean Davies al Cecil Sharp House risale al 1969 e ancora negli archivi sonori dell’ITMA troviamo la registrazione cantata da Corney McDaid al McFeeley’s Bar, Clonmany, Co. Donegal nel 1987 (vedi) e anche Paul Brady l’ha registrata più volte. e vi laverete le mani di tutto quello che è avvenuto e prenderete il mare per una nuova occasione, lontano dalla terra del verde trifoglio. lontano dalla terra del trifoglio. 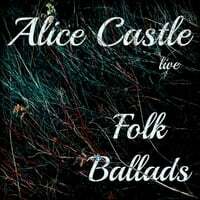 Questo testo è stato scritto da Patrick Brian Warfield, cantante e polistrumentista del gruppo irlandese The Wolfe Tones (autore di molte canzoni per il gruppo). Nella sua versione il punto di sbarco non è New York ma Baltimora. perchè è allora che le lacrime scorrono, devo andare in America. Rivedrò ancora una volta la mia casa, per ora lascio la mia innamorata e la terra del verde trifoglio degli Irlandesi. in questo viaggio che abbiamo davanti, con le lacrime agli occhi, dirò addio alla terra del verde trifoglio degli Irlandesi. I Clannad nell’album Fuaim 1982 scrivono di aver sentito cantare la canzone da Cathal Ó Baoill (Charlie Joe Thimlin) e di averla arrangiata abbinandola ad una melodia della Contea di Derry. Il canto è un emigration song che decanta le bellezze di Gweedore (irlandese: Gaoth Dobhair ), un distretto di lingua irlandese che si trova sulla costa atlantica della contea di Donegal, Irlanda. on the green fields of Gaothdobhair. and the green fields of Gaothdobhair. Attraversavo un giorno il bel lago di Dunlewey finchè raggiunsi le rive del gradevole Clady dove nuotano i salmoni argentati, vagabondai per il vecchio Bunbeg e giù fino alla spiaggia e ammirai i verdi campi di Gweedore. Visito Magherclocher e sulle alture di Machergallon mi metto in piedi, sotto di me giace il vasto oceano e la spiaggia di Machergallon, quelle rive sabbiose così care per me, quelle sponde che adoro, alle mie spalle scorre il dolce Derrybeg e i verdi campi di Gweedore. La bella isola di Goal così vicina a Inishmean vedo la fila di pescherecci che stanno al molo, mi aggiro per il cimitero di coloro che se ne sono già andati e un tempo vivevano felici e contenti sui verdi campi di Gweedore. Vedo il dolce Inish Oirthir e lontano l’isola di Tory, i transatlantici mentre seguono la corrente con eleganza, a bordo ci sono gli emigranti irlandesi con i cuori tristi e addolorati, che guardano fisso le colline della vecchia Tyrconnell e i verdi campi di Gweedore. 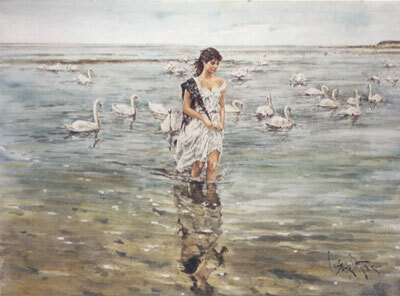 La melodia è di una bellezza rara e lascia senza fiato, il protagonista che canta è un giovane lavoratore stagionale che durante il periodo del raccolto (orzo, grano) si innamora di una fanciulla bella come un cigno..
‘Sba ró-dheas do leagan siubhail. Nó’r bórd luinge ‘triall ‘un siubhail. ‘S bhéinn ar láimh le mo chailín donn. ‘S níl ach baois díbh á chur ‘n mur gcionn. Nuair a smaoitighim ar a bheith ‘sgaradh léi. A stór nó ‘s tú mo ghrádh. On the green stubble-fields of Autumn I saw you, my sweetheart. Heavy is my sigh when I think of being apart from her. per la mia fanciulla dai capelli neri. e coloro che ci vanno contro, sono degli schiocchi. che il suo cuore era nel mio petto. La domenica ho sentito dalle chiacchiere delle donne che si sarebbe sposata con un giovanotto del posto. non ti lascerò andare amore mio finchè avrai vita.